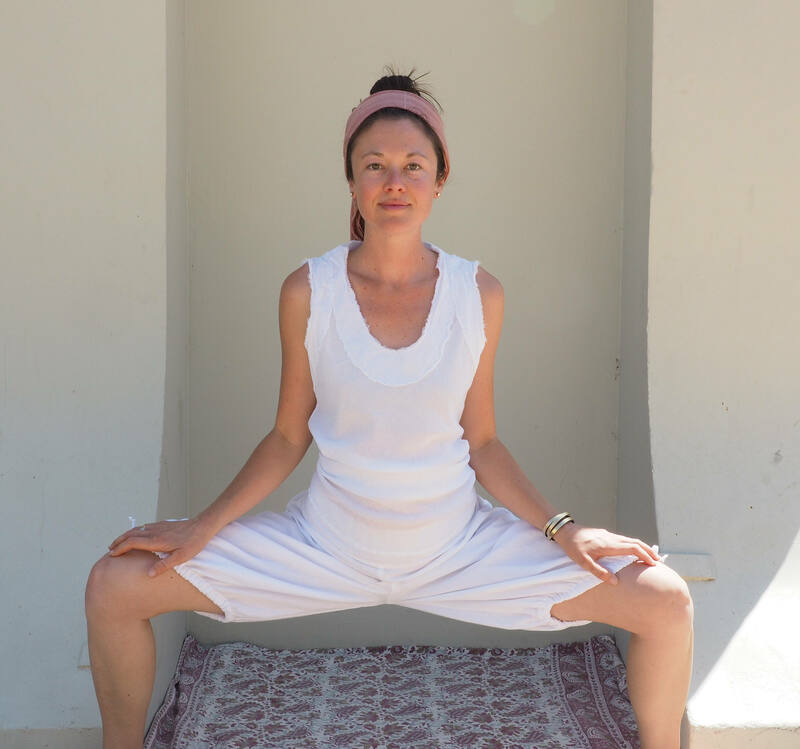 Cotton Yoga Bloomers in WHITE // Gauze Cotton Natural Fiber Yoga Clothing / Stretch, Breathe, Play, Feel Good! Meet your new favorite summer yoga pant! These bloomers are light as air and fluffy soft. They are made of 100% moisture-wicking breathable gauze cotton in two layers to keep you covered (they aren't transparent at all). Bend, stretch, and invert to your heart's content. These bloomers will move with you. Cinch them at the hem to fit your shape. Have a total body yoga experience of breath, liberation, expansion. Your aura shines though natural fibers. You feel brighter in natural fibers. 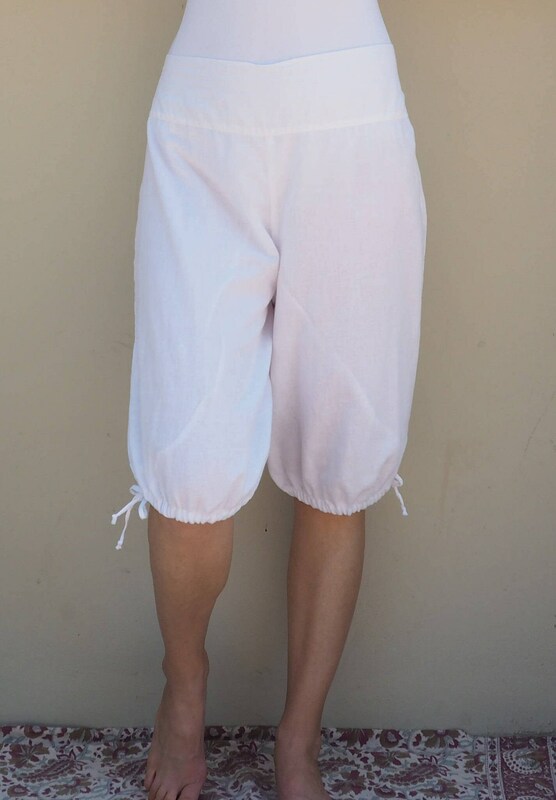 These bloomers are designed for the option to go without underwear. Be free and inhale the air! SMALL/MEDIUM: The waistband is flexible from 30"-40" and can be worn around your hips or at your waist. Generally, these fit sizes 4-8. *Please note, White is not pre-shrunk. 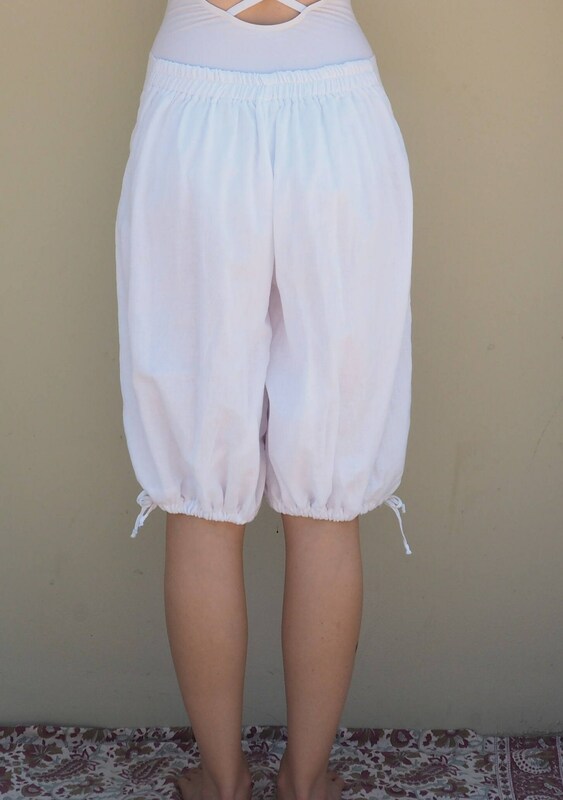 If you want your bloomers a little smaller, 29"-38" at the hips/waist, simply wash in HOT water and hang dry. LARGE: The waistband is flexible from 34"-43" and can be worn around your hips or at your waist. Generally, these fit sizes 10-14. *Please note, White is not pre-shrunk. If you want your bloomers a little smaller, 33"-42" at the hips/waist, simply wash in HOT water and hang dry. I recommend ordering so that you have some stretch around your waist to hold the pants on - they won't feel too tight since the elastic portion of the waistband is wide and has decent give for movement. For example, if you are 34" around the waistline, order a Small/Medium. I’m in love with these. Soft, Flowy... exactly as described. Nice personal touches and shipping was quick as well. I would purchase again and I’ll share the site with my friends. These are super comfortable. i love them. i got them fast too. thank you! Great item, will shop here again!